As (the self-proclaimed) Costa’s number 1 fan, I couldn’t let the news of how Costa celebrates Pride in 2018 pass the blog by. Especially as Costa in Chelmsford are centre-stage. 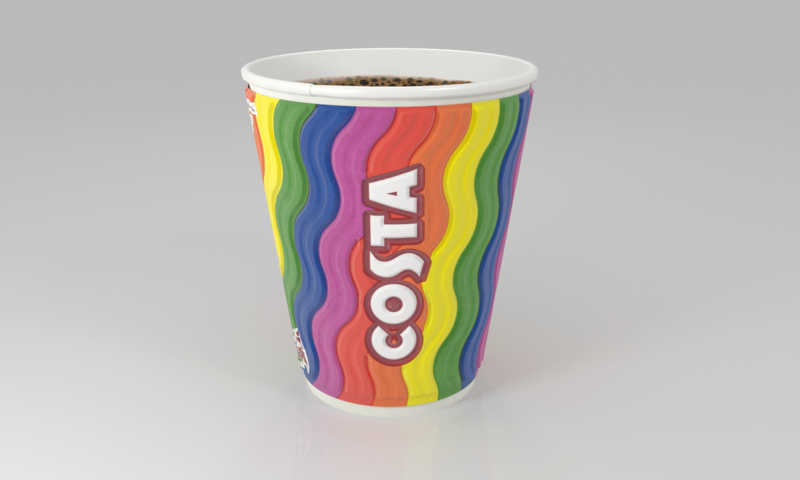 Costa Coffee have announced the launch of their first-ever limited-edition rainbow coffee cups to celebrate Pride across the UK. With Costa Coffee being a founding partner of GLOW (Gay Lesbian Out at Whitbread) the activity has strong support from staff, with many Costa team members taking part in Pride parades across the country for the third year running. Although only available in certain stores, as an Essex-based Blogger I’m proud to say that my home city of Chelmsford has been chosen alongside Edinburgh to be the first stores to have the limited-edition Pride cups available for a short time. London, Glasgow, Brighton, Leeds, Manchester and Cardiff are all set to follow with the Pride cups available a week ahead of (and on the day of) Pride marches in each location. The cups will be ordered in place of the red for each store to reduce waste and will be recyclable in the same way. It sounds like a fantastic way to celebrate Pride. Well done, Costa!